Top HR executive, Zoe Pluckrose-Norman, says companies with great cultures and a belief in employee engagement will rise to the top as potential recruits need to be ‘impressed’ by employers. 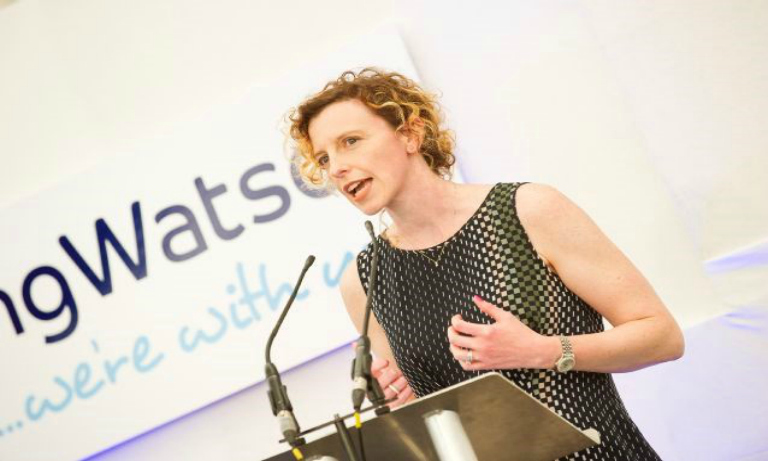 Zoe Pluckrose-Norman, people director at Armstrong Watson, was speaking out ahead of a special event last week which focussed on attracting and retaining talent in Cumbria. The event was led by top legal firm Cartmell Shepherd, in association with the Family Business Network. Mrs Pluckrose-Norman, one of the panellists on the day, said: “Unemployment is at a four-decade low and there are now more vacancies across the UK than any time in the last 17 years. “Essentially businesses are looking to attract employed individuals, meaning we are in competition with each other to keep hold of talent. “This is compounded as employers understand that in order to retain talent they need to invest in employee engagement and ensure they have a caring culture throughout their organisation. Armstrong Watson has 15 offices across Scotland, Cumbria, Northumberland and Yorkshire, with upwards of 400 employees. Mrs Pluckrose-Norman believes that in addition to candidates not wanting to leave great employers with great cultures, they are interested in much more than just a salary package. “Employers should sell their USP to their prospective employees,” she said. “Not only the full reward package, but the culture, the career development on offer, who they will be working with and who they will be managed by. Another panellist, Mark Bowman, chief executive of Inspira since 2009, said while he believes attracting talent into the county will help address some of the problems with recruiting, he also believes there is huge talent within. He said: “I think Cumbria has many talented people who with the right training and support can help fill vacant roles, however we do also need to attract new people to the area to enhance this. “It’s really important that we maximise the skills of people who are in Cumbria who may not be in employment or full employment. “This may be people who are unemployed in the traditional sense or increasingly people who have taken career breaks or are looking at reducing hours towards the end of their careers. Speaking prior to the event, Mr Bowman said he was looking forward to sharing with attendees his view on the opportunities which exist: “I’m keen to show how employers can help develop the future workforce and what young people have to offer and perhaps what employers may need to think about if they want to attract some of the future talent to their workforce.